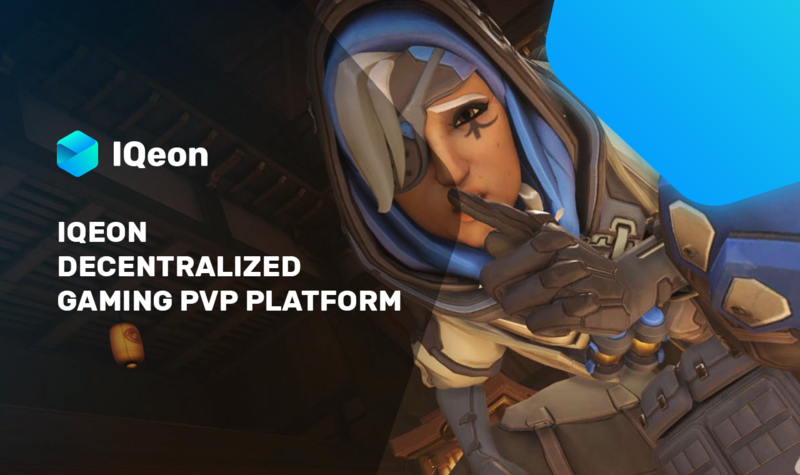 A new serious player has entered the global market of mobile intellectual games – the decentralized gaming PvP platform called IQeon. In the closest future it will create a revolution, fulfilling a lifelong dream of all gamers to monetize their gaming achievements and intellectual abilities without any risks. Therefore, game developers are already following the process of creation of the platform and looking forward to the pre-sale of IQN tokens, which will start on December 15. And they have plenty of reasons to do so. Today’s global market of mobile intellectual games is 4.9 billion USD and its number of participants is constantly growing. Nevertheless, game developers are still facing several risks. The new IQeon gaming platform will be really useful in reducing those risks, while increasing the income of developers several times. Advantage 1: It will influence in growth of the audience. The IQeon gaming platform will give developers a large influx of additional and, importantly, solvent gaming audience. Players will compete to get IQeon tokens, which can be easily converted into fiat money. But most importantly, every holder of IQN tokens earned in one game, will be able to successfully use them in other games. All this will create a significant growth of participants. Advantage 2: API will be used. Thanks API, you will be able to quickly and efficiently integrate your products into the existing IQeon ecosystem. Today, there are no solutions on the market that allow organizing PvP competitions with fixed conditions and automatic payment. Game scenarios of IQeon platform will allow players to start a competition between themselves by betting in IQeon tockens on a certain achievement or event. The system will pay the winnings automatically, and the developer will earn money from each such bet. Advantage 3: The process is absolutely reliable and legal. The use of IQeon tokens does not conflict with the App Store Review Guidelines or Google Play Developer Policy. Reliability and anonymity of all payments is guaranteed by the blockchain technology, and the IQeon token itself complies with the ERC20 standard. Thus, both players and developers reduce their risks to a minimum. Advantage 4: Monetization and reduction of commissions for the withdrawal of developers’ rewards. Often authors of content for intellectual games do not have the ability to monetize their work without serious investment in the development of technology solutions, for example, mobile applications. Based on the SDK of the IQeon platform, an application designer will be implemented. By using this, developers of game content will be able to create new applications based on existing scenarios and game mechanics with minimal effort. Total commission fee for exchange of IQN tokens into fiat money will not exceed 10% compared to, e.g. App Store and Google Play where receiving payments in mobile games and applications is about commissioned at the rate of about 30%. As you can see, the IQeon platform will provide many benefits, both to players, and developers. During the presale that will be held from December 15 till December 24 you can buy tokens with a 50% discount.